Alert Residents Catch Thieves Red Handed, LIVINGSTON, November 7, 2013 - On the afternoon of Wednesday, November 6, 2013, the Polk County Sheriff’s Office was able to clear up the theft of three flatbed trailers and one four wheeler due to quick action taken by a homeowner who caught two thieves in the act of taking his flatbed trailer. Deputies responded to the 4900 block of S.H. 59 North in reference to a theft in progress. The homeowners arrived home from shopping and found two subjects had hooked up their flatbed trailer to a pickup truck and backed it up to a shed. The trailer had the ramps down where it was apparent the thieves were going to load up a four wheeler. The responding deputies and Detectives placed the two subjects under arrest and while conducting the investigation were able to connect the thieves to a trailer and four wheeler theft reported on November 5, 2013, and a trailer theft on October 3, 2013. All of the thefts were at residences along US- 59. The Sheriff’s Office arrested Johnnie Lee Frazier, 60 of Houston, Tx. Frazier was charged with one count of felony theft. 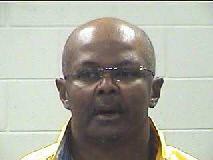 Also arrested was Dan Thomas, 54 of Houston. Thomas was charged with 1 count of Felony Theft, Unlawful Possession of a Firearm by a Felon, and Possession of Controlled Substance. Detectives with the Sheriff’s Office are continuing the investigation and expect to file more felony charges on both suspects and possibly recover more stolen property. Sheriff Kenneth Hammack requests that citizens always be aware of suspicious activity going on around their homes and the homes of their neighbors, especially during the upcoming holiday season. If something doesn’t look right please immediately call 911 to report the activity. 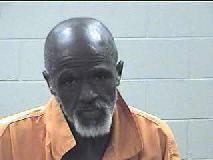 Johnnie Lee Frazier, 60, of Houston, was charged with 3 counts of theft of property. Dan Thomas, 54, of Houston, was charged with 3 counts of theft of property, possession of a controlled substance, and unlawful possession of a firearm by a felon.